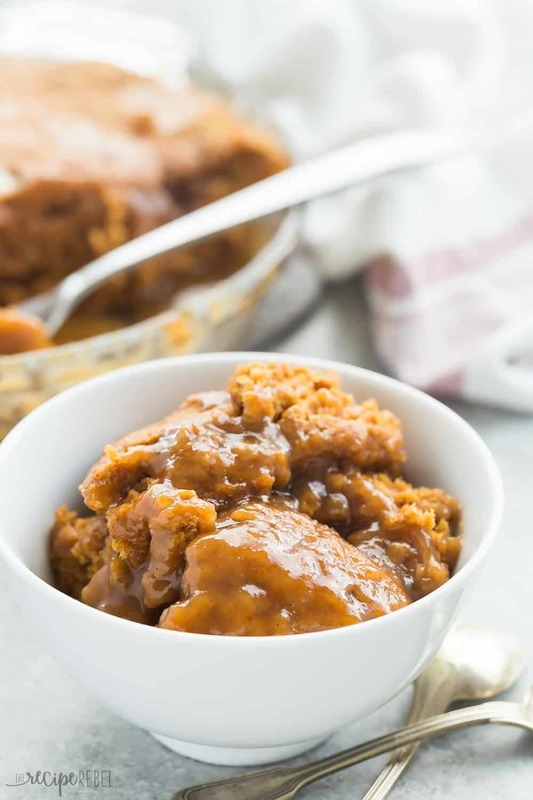 This Pumpkin Pudding Cake is hot, gooey dessert perfection! 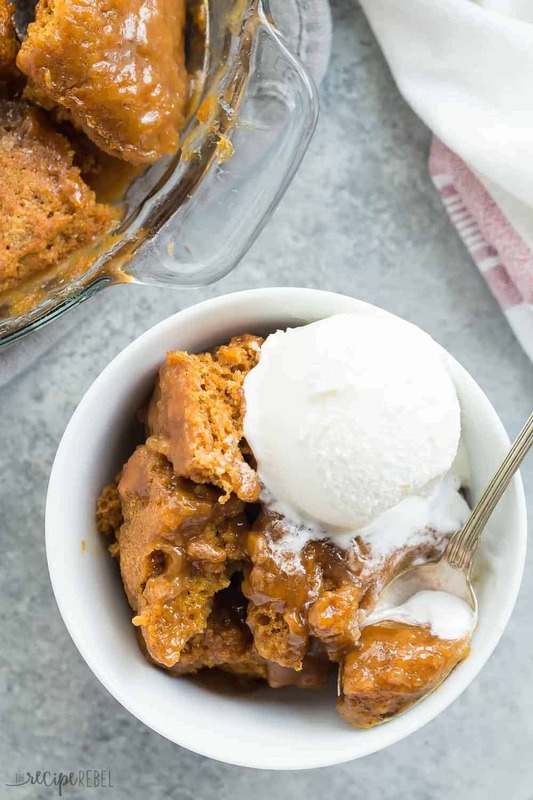 It would make a great finish to any fall or Thanksgiving dinner topped with a scoop of ice cream! Pudding cakes might just be my all-time favorite desserts. They’re so gooey, and warm, and the way that ice cream gets all melty when you serve it up? Nothing else is quite as good. I am a stickler for having the best vanilla ice cream to serve with my pudding cakes and other hot desserts, but I can just imagine how awesome a butter pecan or caramel ice cream would be smothered on top of here — it would be one awesome combination! 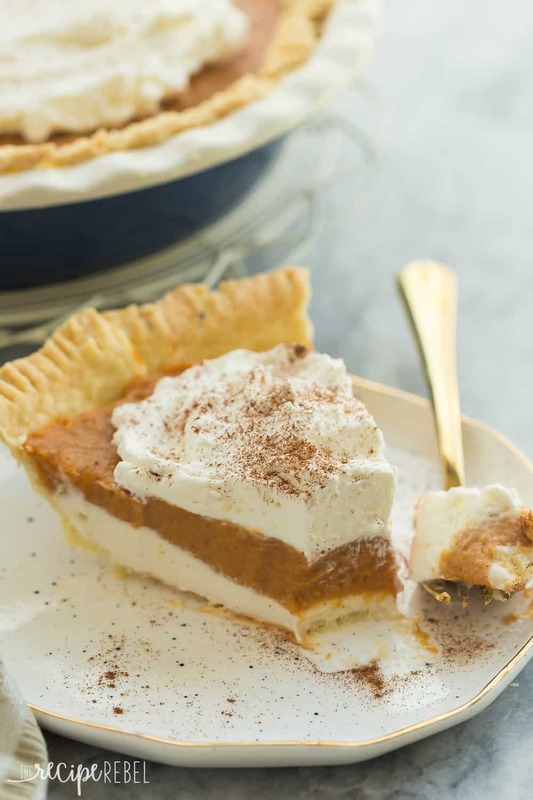 I bake all my pudding cakes in a 9″ pie plate, but if you’re using a shallow pie plate or it’s not quite 9″, you will want to place a large piece of foil underneath your pan to catch any drips — cleaning the oven is not high on my list of fun things to do! (And I’m sure it’s not on yours either!). Feel free to add in nuts (pecans, maybe? ), dried fruit or chocolate chips (or, oooo — butterscotch?!?) to change things up. It won’t change the recipe at all if you decide to add your own twist! Just stir into the batter or sprinkle on with the sugar mixture before baking. 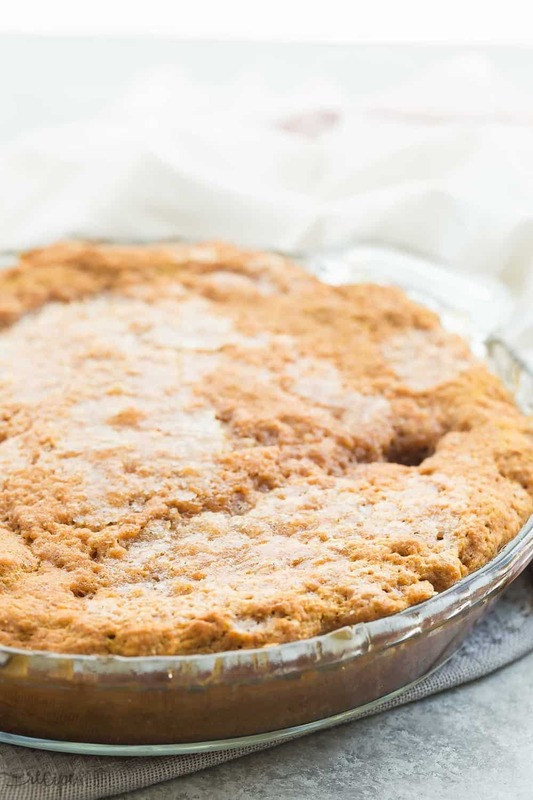 Preheat oven to 350 degrees F. Lightly grease a 9" pie plate or baking dish and set aside. In a large bowl, stir together the flour, ¾ cup brown sugar, baking powder, cinnamon, salt, nutmeg and cloves with a spoon. Add in pumpkin, milk, oil and vanilla and stir until a thick batter forms. Spread evenly into prepared pie plate. 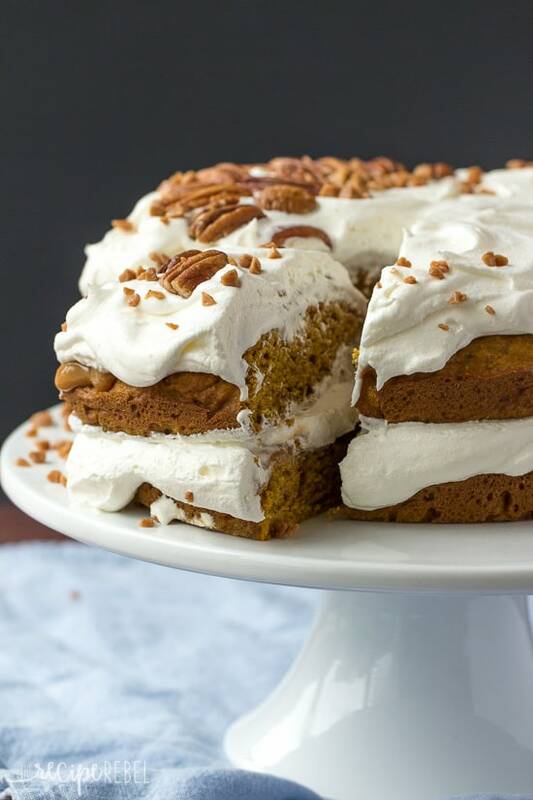 Or this Pumpkin Caramel Pecan Naked Cake!